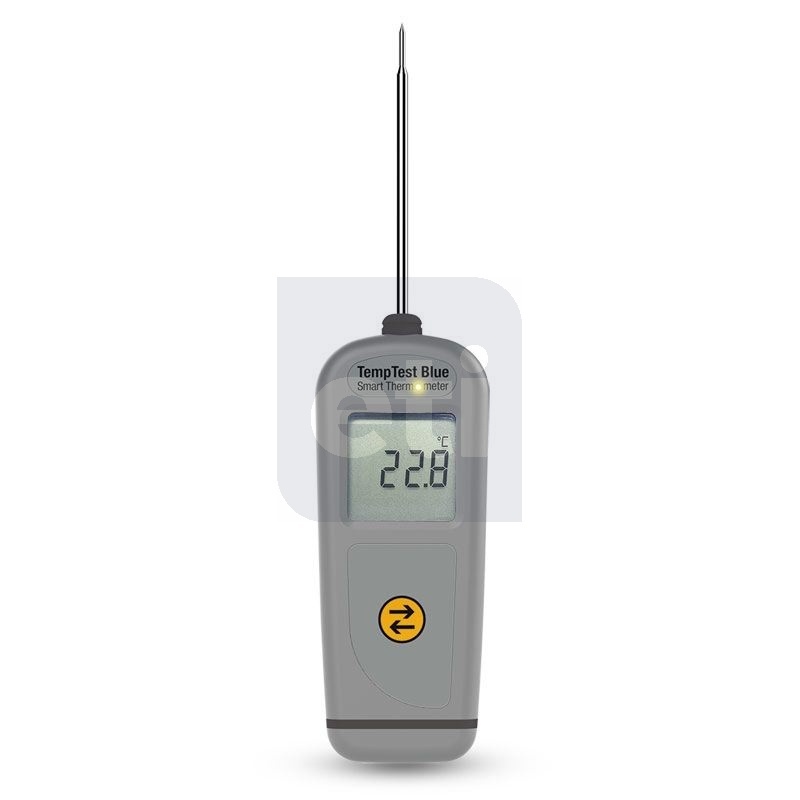 TempTest® Blue smart thermometers with unique rotating display. The new TempTest Blue combines the latest Bluetooth wireless technology with high accuracy, precision and fast response. 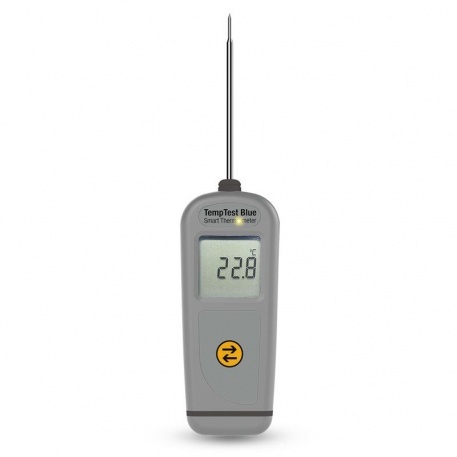 Simply connect to your host device (iOS or Android), probe the item to be measured and press the button to securely transmit your temperature data via a secure connection of up to 50 metres. 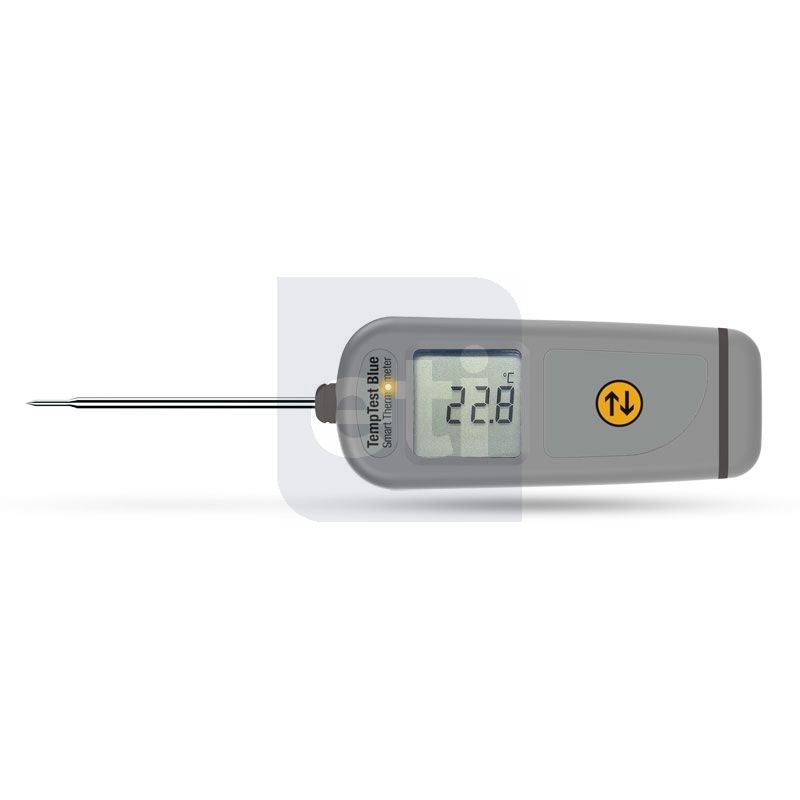 The thermometer is housed in a waterproof IP67 case with an ergonomic rubber seal, both include Biomaster Antimicrobial Technology to reduce bacterial growth. The TempTest Blue incorporates a stainless steel food penetration probe (Ø3.3 x 80 mm) with fast response tip. The true temperature of a product can be measured in just three seconds. A Software Development Kit (SDK) is available upon request to allow integrators to write custom Apps to communicate with the TempTest Blue.